I just visited Derrick’s blog and he posted one of my photos of his work a couple weeks ago. Too much. Yes, I am a huge, huge fan. You are going to do an amazing job! Please keep us posted on how it turns out! 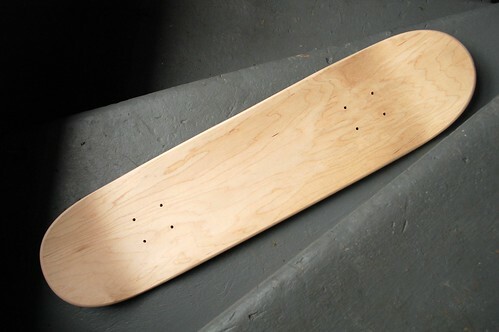 my hubby designed a skateboard for himself once and had a LOT of fun! good luck! Talk about the universe providing the perfect opportunity! I know it’s going to be fabulous and I can’t wait to see it! Amazing! I saw last year’s show and it was pretty cool. I really liked seeing all the different submissions. This sounds amazing Karyn. I’m very excited to see what you create. I am definitely going to check out this show. I just sold my skateboard last summer. I wanted to save it for Ollie but I had some stickers on it that were not very child friendly. Maybe I’ll find a brand new deck for him at this show…very exciting!!! whoa. i’m a huge fan of mister derrick hodgson too. lucky!! u will do an amazing job, i cannot wait to see yours and the other artists all in one show! what!